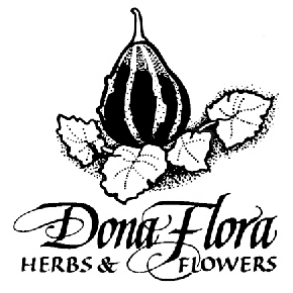 Dona Flora has been in the business of growing a large variety of flowers, herbs and some heirloom vegetables since 1981. 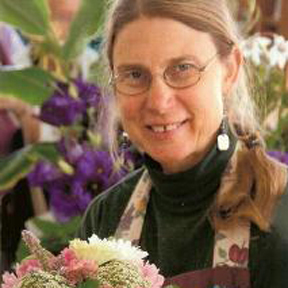 I use organic and sustainable methods and am dedicated to selling locally both retail and wholesale. 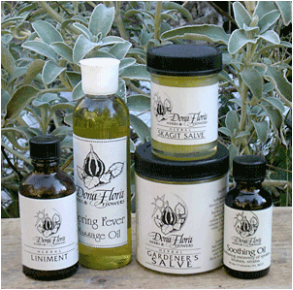 I also produce a line of value added herbal products such as Salves, Creams, Massage Oils, Lip Balms and more. Weddings and special events are a big part of my business. Make your special day truly memorable with distinctive flower arrangements and bouquets. Our flower fields are full of beautiful blossoms and fragrant herbs to choose from. 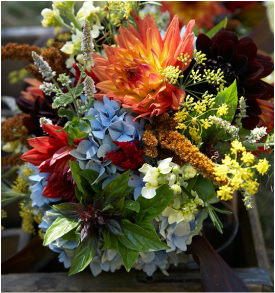 Let us help you with your floral arrangements corsages, boutonnieres, swags, bouquets and table arrangements.